For a small luxury SUV that’s just as capable on the Red Bank roads as it is off of them, you can’t go wrong with the new Land Rover Range Rover Velar. With two compelling powertrain options, an array of high-end details including leather upholstery, and the signature Land Rover off-road prowess, the new Range Rover Velar proves compelling for a wide range of Colts Neck drivers. 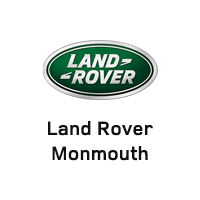 Explore your options, and then schedule your test drive with Land Rover Monmouth in Ocean!